Leading Exporter of expander for textile industry, heavy duty tyre cord centralizer and light duty tyre cord centralizer from Ahmedabad. We manufacture Expander For Textile Tire Cord Cordaliner that are used for wrinkle removing on coating machines which are available. Bigger diameter can be made as per specific requirements. Normally plain surface is provided but for some applications, serration is required on the surface for gripping. Heavy Duty Tyre Cord Centralizer offered comprise centralizing device that find use in tire-cord machines like dipping plant, let-off and wind-up stations, liner re-winder, calendars. 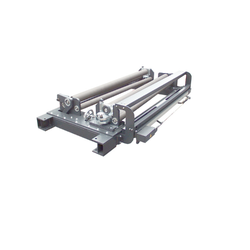 Some of its features include comprising two joined axles bowed rolls for handing light/heavy duty processes as per application/fabric tension needs; a sensor for sensing both side fabric edges. Light Duty Tyre Cord Centralizer offered can be made available by us in different configuration choices and provides for perfect working support as demanded by the customers. These find use in tire-cord machines like calendars, dipping plant, liner re-winder, let-off and wind-up stations among others. 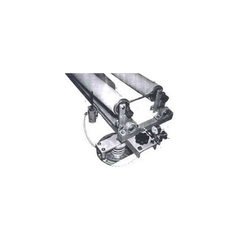 Some of its features include available in jointed axle bowed rolls for light/heavy duty as per application/fabric tension requirements; rolls with sensors on both sides for sensing side fabric edges and taking correction as required by jointed axle bow rolls.